Make a romatic meal with these adorable letterings, white plywood. Great decoration or present for wedding, party, home. 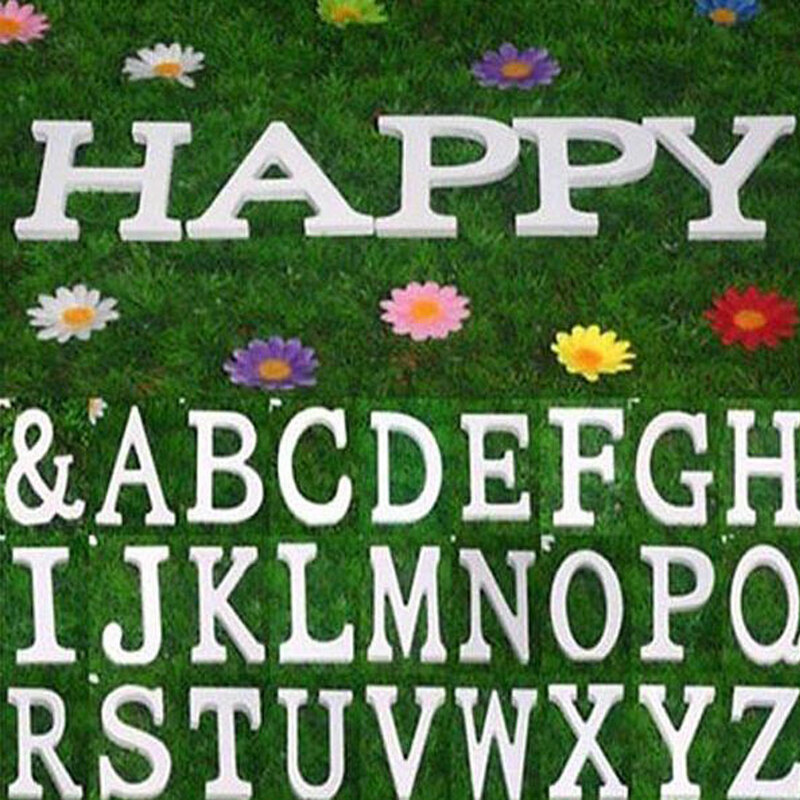 Perfect match and best choice of this letters alphabet for decorating your wall. Use free standing or hang on the wall. Great for home decor accents, room decor, gift giving and much more. 1. Due to the light and screen difference, the color of this item may be slightly different from the pictures. Please understand. Make sure you do not mind before you bid. Make a truly unique statement in a nursery, used as room decor, wedding shower decor. Easy to apply on weddings, engagement parties, bridal showers, birthdays or anniversary parties. Beautiful plywood font letters that can be attached to a door or wall and will help brighten up the room, the perfect decoration. This fun new with tags item is perfect for home decorating, and is ready for your crafts needs,hook on the back for hanging.